2014 OORSPRONG curators series OCS information leaflet 2014. 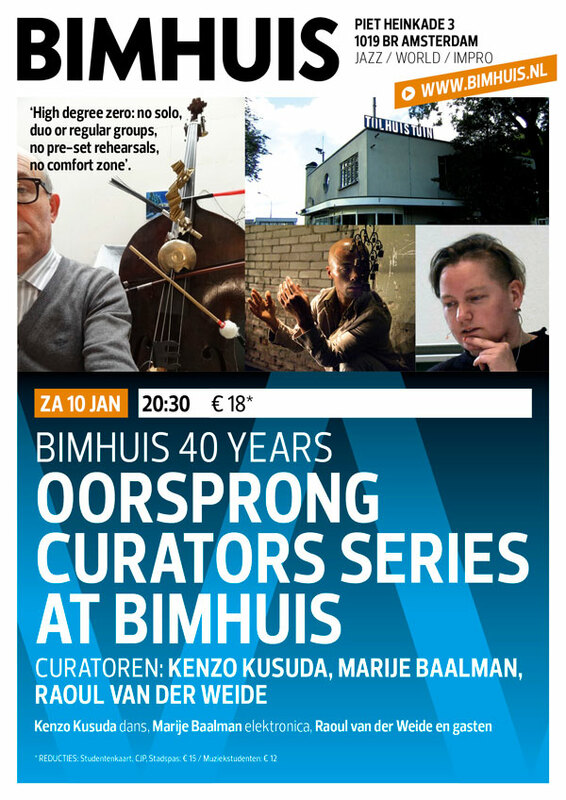 OORSPRONG curators series/OCS was honourably invited to co-celebrate BIMHUIS’ 40 Years history on 10 01 2015 presenting a special 3 instant composing+ blinddate sets edition curated by Marije Baalman, Kenzo Kusuda and Raoul van der Weide. OCS also included blinddate back-to-back DJ’s Andy Moor (the EX) and DJ JuJU in its program.